OUR OFFICALLY REGISTERED CROSSFIT KIDS PROGRAMME, FOR KIDS STARTING FROM 7 TO 11 YEARS OLD AND CROSSFIT TEENS FOR 12 TO 18 YEARS OLDS. Coach Janis has been working with kids in the world of fitness and sports since 2011 improving their health and general fitness. It is our mission to offer the best possible service aimed at helping people of all fitness levels to improve their quality of life. Our community-based strength and conditioning fitness programmes have been proven effective globally and deliver unparalleled results. 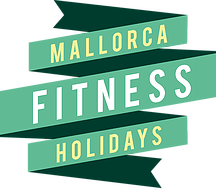 At our facility in Mallorca we have world-class coaches who speak English, Spanish and German and genuinely care about supporting you along your fitness journey! If you come in with a willingness to learn you can achieve fitness beyond your expectations. CrossFit Mallorca updated their cover photo. Celebrating the eighth year of CrossFit Mallorca, the first and original CrossFit box on the island. We are proud to be a part of so many peoples' lives and grateful that they are a part of ours. Here's to year 9, looking forward to seeing our CrossFit family continue to strengthen and grow.